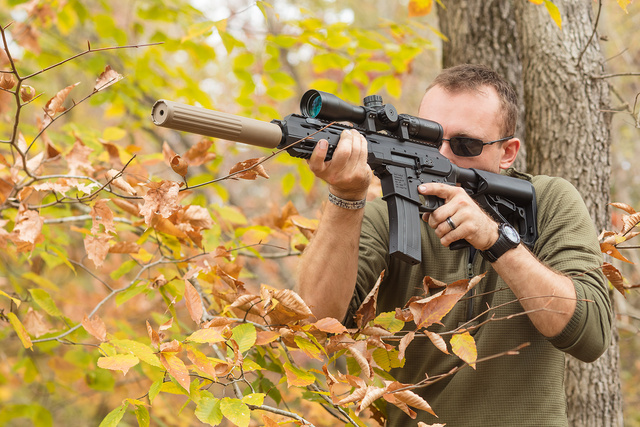 With the reflex suppressor, 18″ barrel is required on ARAK21 to clear the gas regulator. 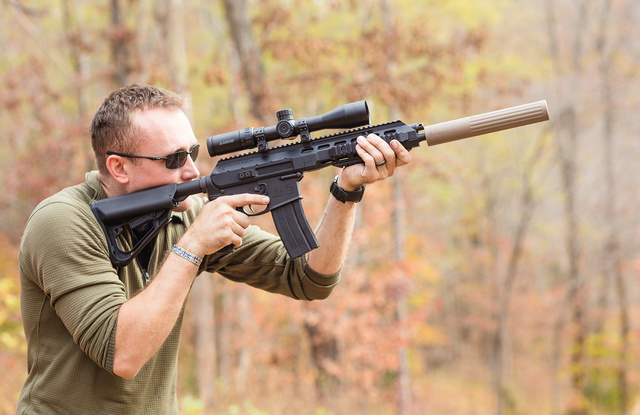 With an AR15 and short forend, 16″ should be enough, but the result will be slightly louder due to higher gas pressure at the muzzle. ARAK21 has ejection port on both sides, and ejection direction may be switched with just a 180 degree turn of the bolt. The scope, a Lucid 4-16 might seen excessive for the short .30 cartridges (ARAK21 can work with 300 Blackout or 7.62×39), but it gives additional range with detailed drop compensation reticle. Works from the right shoulder just as well. Charging handle is also switchable. This entry was posted in rifle, sound suppressor, weapon and tagged 300Blackout, 7.62x39, piston. Bookmark the permalink. I don’t know about .223 reflex cans AmTac makes. Call or email them and ask. They also make conventional, non-reflex designs that would definitely fit.